I could be wrong about the name; someday maybe it will flower and I can get a better idea. It likes full sun and medium water during the growing season. The cuttings root easily. All of my 'Corryocactus' were taken from a single small crest that just keeps growing. 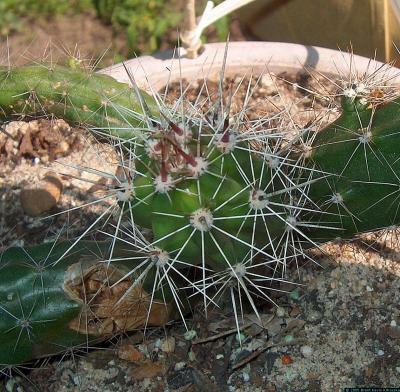 Maybe it's an Opuntia? The uncrested form makes long curvy stems that look good in a hanging basket. You'll want lots of headroom. Hanging it at eye level is just asking for trouble. It's a very easy plant to keep alive and no two look exactly alike.